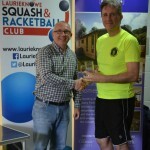 The Pathfinder 4th Scottish Open Racketball Championships were held at Laurieknowe Squash & Racketball Club last weekend attracting nearly 40 local, Scottish and English players. 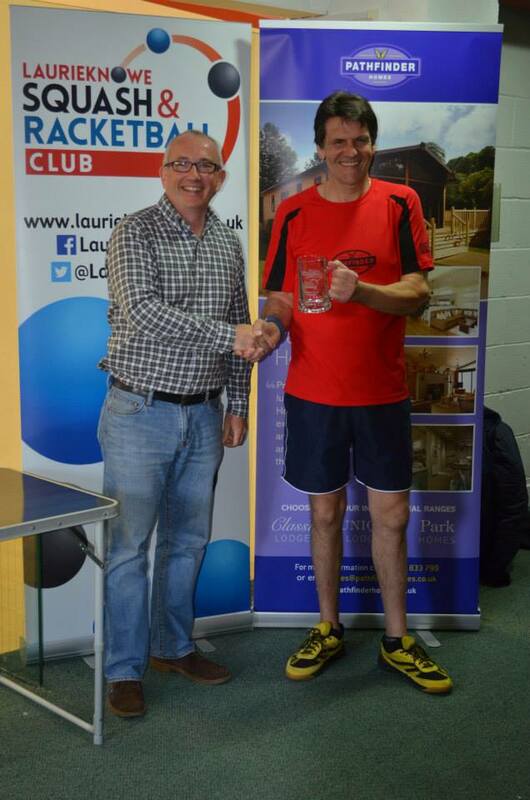 As well as national titles at stake, it was the chance to gain UK National Racketball ranking points. Dumfries was well-represented and came away with two National Champions. 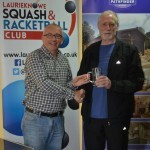 Keith Gristwood of Laurieknowe SRC won all four of his matches and retained the O-55s title with a hard-fought final match against James Murphy of Norfolk whom he defeated 3-1. 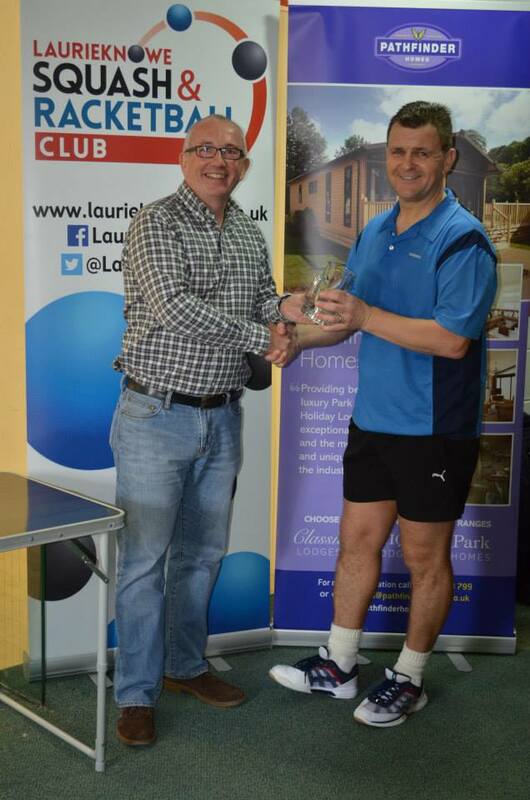 Jimmy Wells of Dumfries SRC won the O50s title defeating Mark Adderley of Edinburgh Sports Club 3-1. 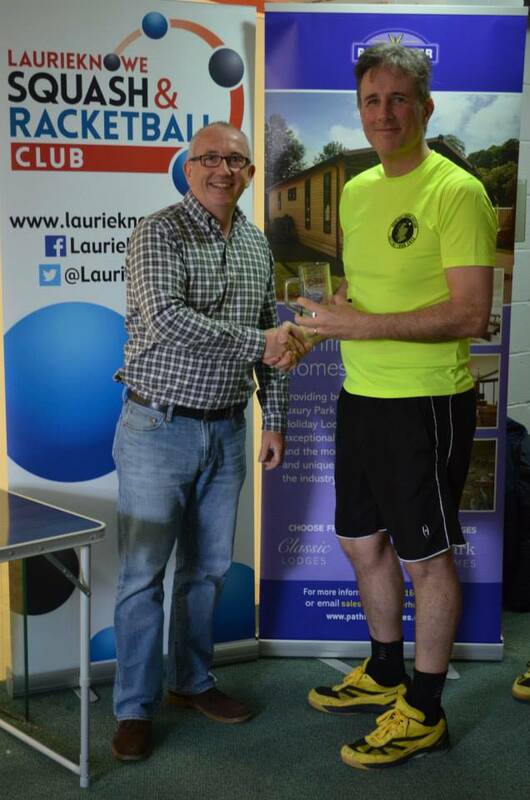 The O50s plate was won by Alec Livingstone of Kirkwall with Dave Strachan of Dumfries SRC finishing runner-up. 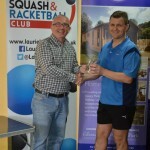 In the O45s Jason Broadberry of Whitecraigs proved too strong for his opponents to win the title while Ian Furlonger from Crewe was runner-up. 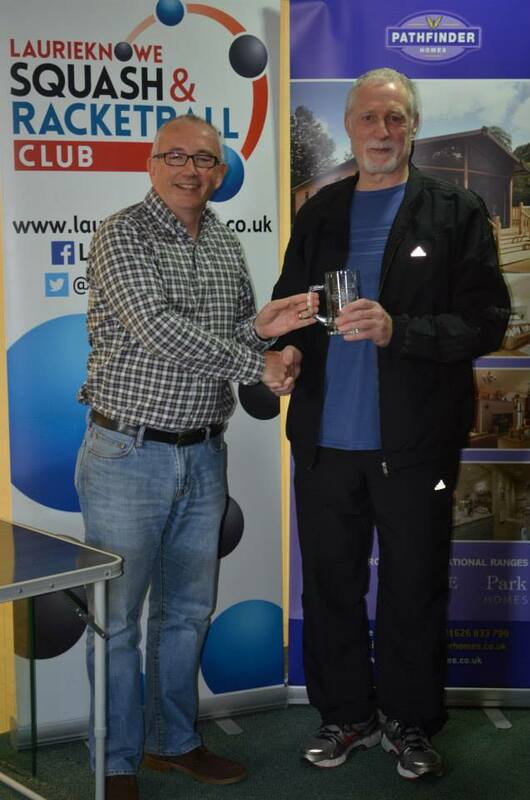 The O60s title was won by James Murphy with Alec Livingstone runner-up. 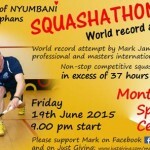 The Open event attracted a 16-strong entry including 5 English players aiming to become the fourth Scottish Open Champion. 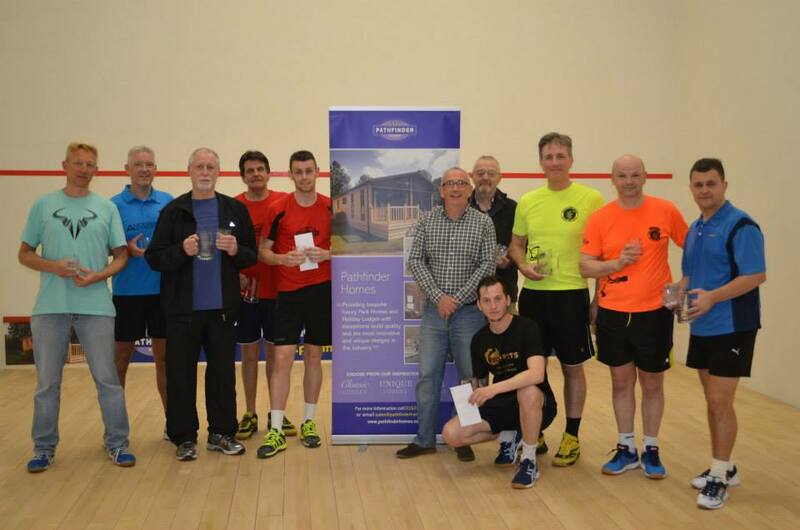 After the first round of play on the Saturday, due to the higher quality of the competitors this year, none of the local Dumfries players made it through to the quarter-finals, so the Plate competition became a local championship. 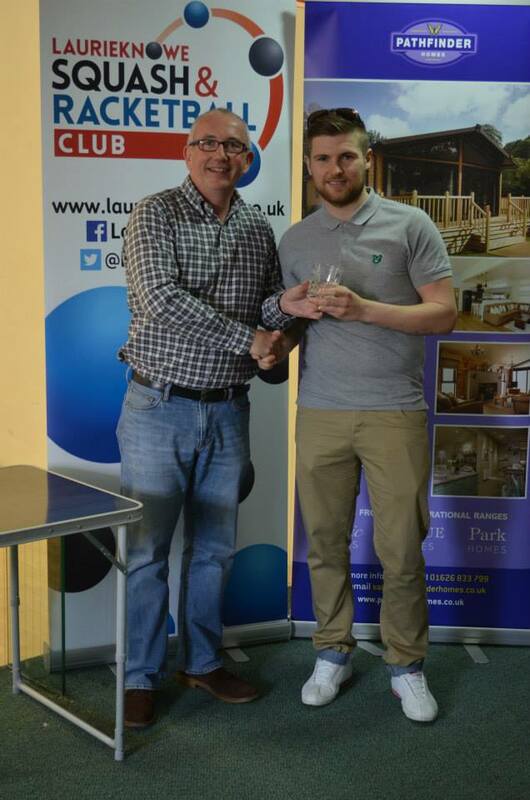 The best of the local performances were Callum Neill’s against Ian Scanlan from Kent going down 3-2, and Joe O’Byrne’s defeat 3-2 by Adderley. 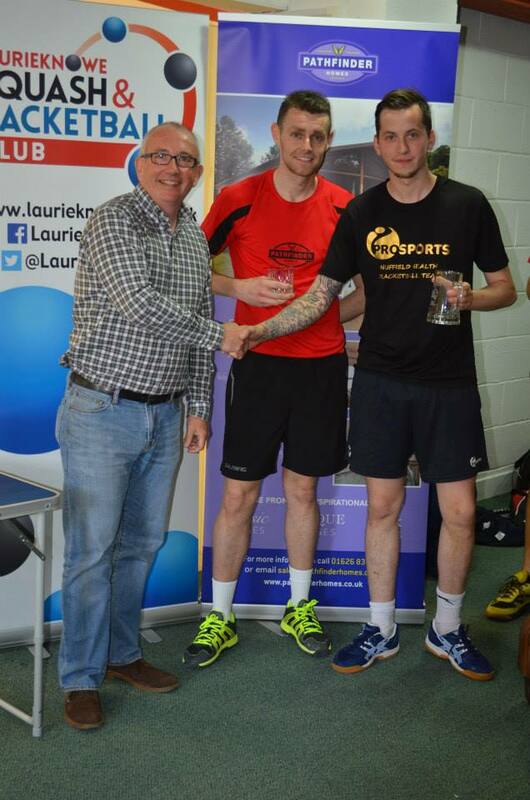 The Open Plate was won by Callum Neill who defeated Jimmy Wells 3-2 in an extremely close final. 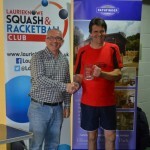 In the quarter-finals of the Open event Ted Jeal, the top seed, ended up with a walkover due to the withdrawal of his opponent. 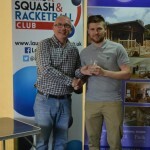 Jason Broadberry, the 4th seed, beat Ian Furlonger 3-1, Billy Jones, the third seed defeated Adderley 3-1 and Nick Bond of Leeds, last year’s champion, beat Scanlon 3-0. 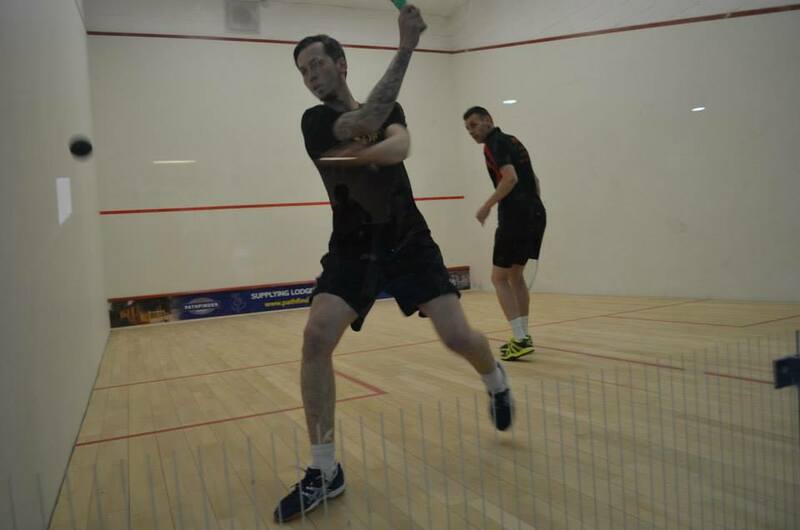 In the semi-finals Jeal beat Broadberry 3-0 and Jones defeated Bond, the second seed, 3-1. 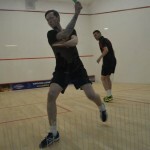 The Open Final matched two Nuffield in Bromley, Kent club-mates Jones against Jeal. Both these players know each other’s game inside out and while Jones put up a valiant effort he was never going to push Jeal into making mistakes. 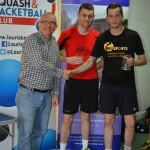 Jeal is ranked No.2 in the UK and ended up winning 3-0 to take the title. At the awards ceremony Laurieknowe SRC Chairman Keith Gristwood stated “it’s been an honour to host the 4th annual Scottish Open Racketball Championships and we are particularly grateful to all the players who have travelled some distance, particularly those from Orkney and England, to participate and who have made the tournament a great success and by far the most competitive yet”. 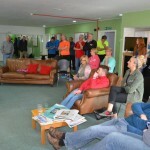 He also thanked the main sponsor of the event, Pathfinder Homes, represented by its Northern Sales Manager Ray Currie, and acknowledged the support provided by volunteers during the weekend.